This blog is posted in three parts, each post is one week apart. I have spent a fair amount of time in Aberdeen, Scotland, as my husband works in the marine oil industry. We make a point of seeing as much of Scotland as we can, while we can. We did the Isle of Skye and the Outer Hebrides a while back and I just assumed Orkney would be another similar Scottish island. Since there are around 800 Scottish islands and I couldn’t possibly see them all, Orkney was not on my list. Not so, said an Orcadian lady I had been running with. Orkney was previously a Scandinavian island so their language and heritage is vastly different from the Gallic speaking western islands. And Orkney has more neolithic sites and archeology than they have the manpower or means to un-earth. I had some friends coming over to visit so decided to take us on a round road trip of northern Scotland. We headed up the eastern coast, popped across to Orkney and came back down the west coast. We had 9 days to pack in as much as we could. It’s fair to say they came back having seem a lot. 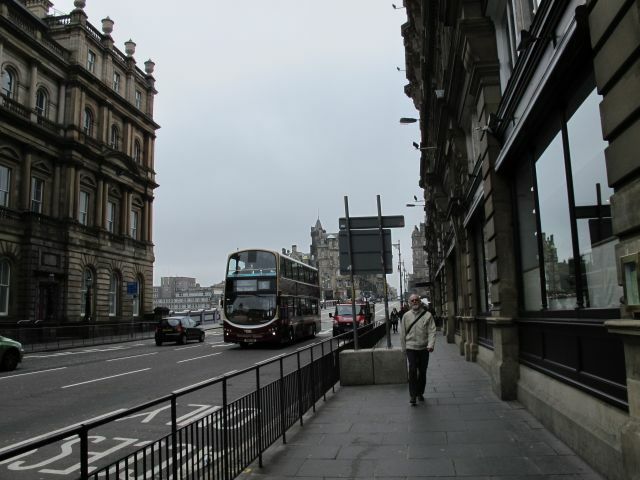 Since we rented an apartment in Aberdeen we kicked off with two days exploring the city. Aberdeen is the third largest city in Scotland and is the oil capital of Europe. It’s called the Silver City or the Granite City due to the silver grey granite they use in their buildings. It frequently rains in Aberdeen and on grey drizzly days the sparkly silver flecks are not visible. But we got lucky and had two glorious days of sunshine when we did our city tour and the buildings were magnificent. 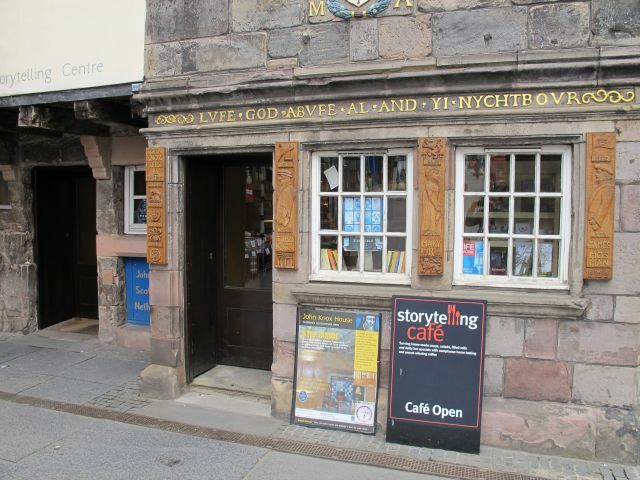 I found a great DIY walking tour of the city in – Fodor’s Scotland. You can also get a print-out of a walking tour from the Aberdeen tourism office in Union Street near Castlegate. NB – the tourism office opens later than the retail shops, closes for lunch and they finish up earlier too. We walked past some of the key attractions – find them – here – and – here. We also took in a few free museums. I like freebies. Entry fees can quickly add up to a large sum of money. 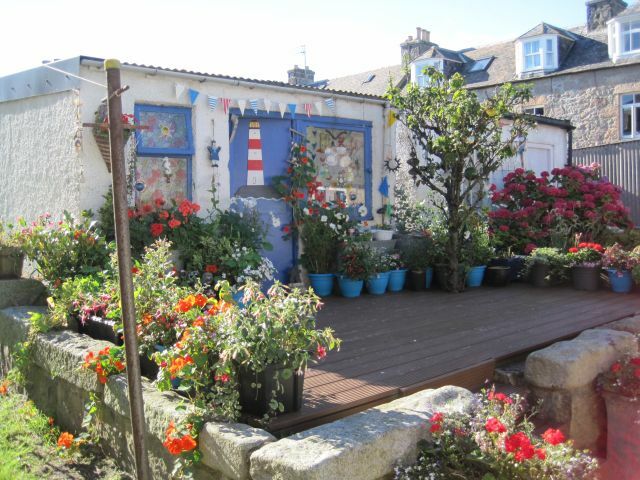 Free museums include Provost Skene’s House, Maritime Museum and the Tolbooth. 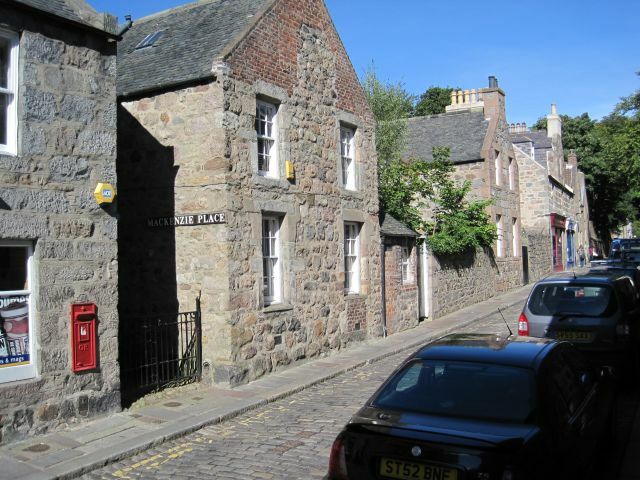 (check visit times for Tolbooth as they are not always open) I also wanted us to visit Old Aberdeen, which be warned, is a bit of a walk from the city centre if you’re not fit. 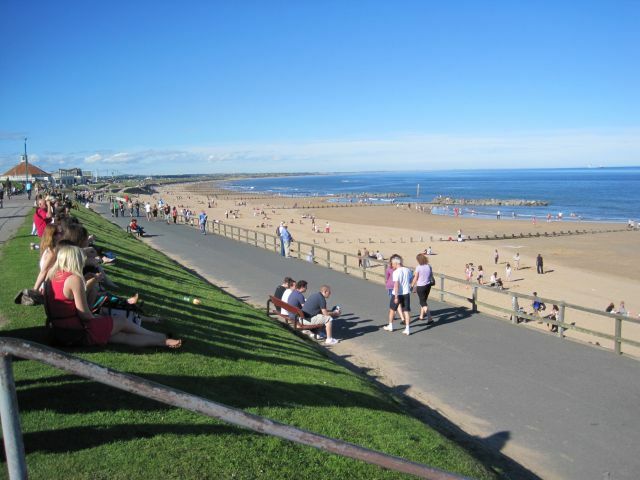 To make the most of your sight-seeing in Aberdeen, walk along the beach esplanade toward the Brig O Balgownie on the River Don. 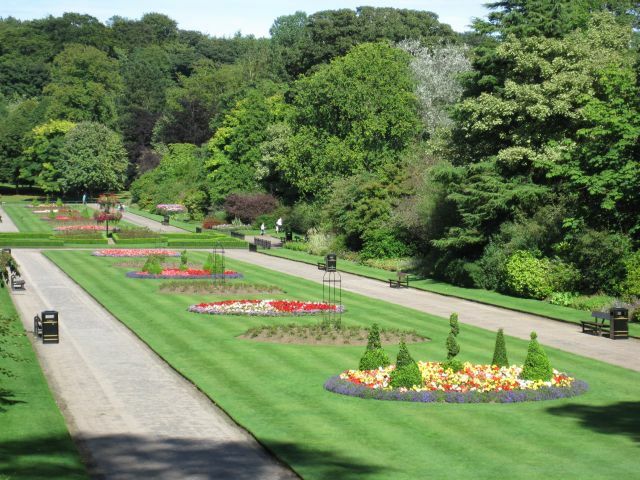 Then walk through the beautifully laid out Seaton Park, through Cruickshank Botanic Gardens toward Old Aberdeen. If it’s too much of a walk, you can always catch a bus to and from this area. 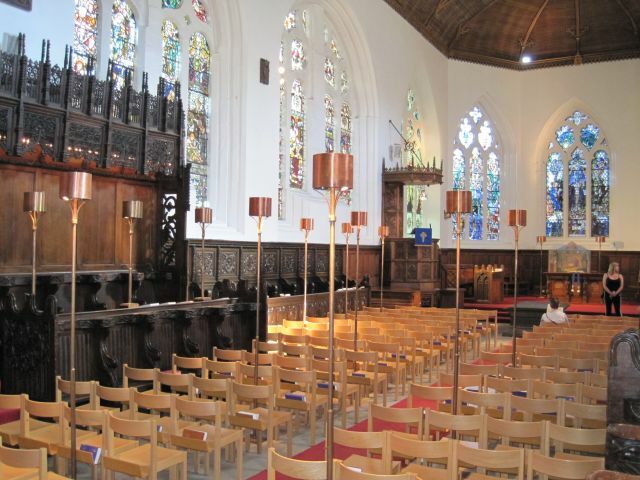 (Tourist info have bus details) Make sure you see St Machar’s Cathedral dating back to 15th and 16th century and King’s College. There are also lovely old houses which give an olde worlde feel to the area. I wouldn’t call Aberdeen a shopping city but you can find famous high fashion brands like Topshop, River Island, H and M and Zara in one of the three main shopping malls namely – Union Square, Bon Accord and St Nicholas and also Trinity Centre. Bargain hunters will love the charity shops in Union Street and Rosemount Viaduct as well as Primark where you can get just about anything at rock bottom prices. Further along Union street is – Cruise, a designer emporium for those with cash to burn. On Day Three I collected our car from – Enterprise Car Hire. Just a note, they drive on the left in the UK and best prices for petrol are at the major supermarkets such as Tesco, ASDA or Morrisons. You are unlikely to find supermarkets in the small villages so make sure you top up when you pass through a bigger town. We drove up the east coast following Scotland’s National Tourist Routes. They have brown road signs which mark the scenic drives. The east coastline is rugged and you will encounter ruins, castles and fishing villages along the way. 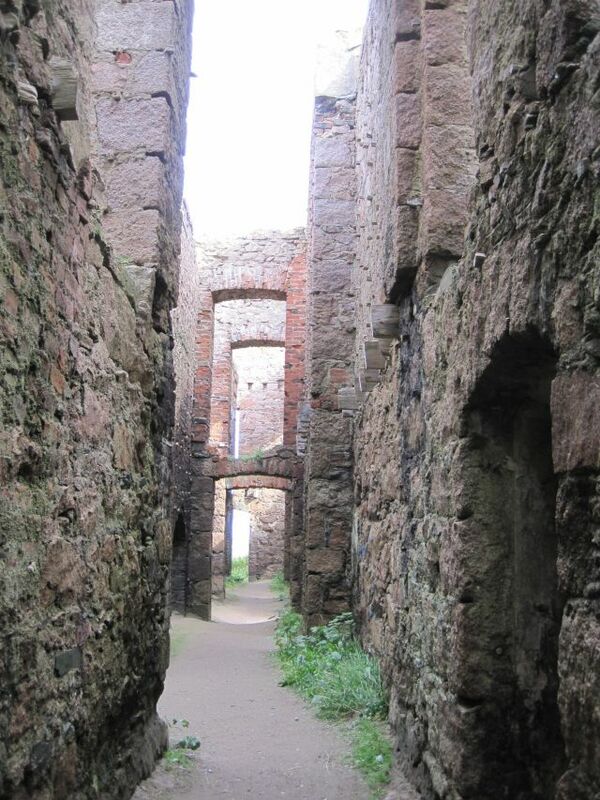 We stopped at Slains Castle in Cruden Bay, a ruin reputed to be the inspiration for Bram stoker’s Dracula. 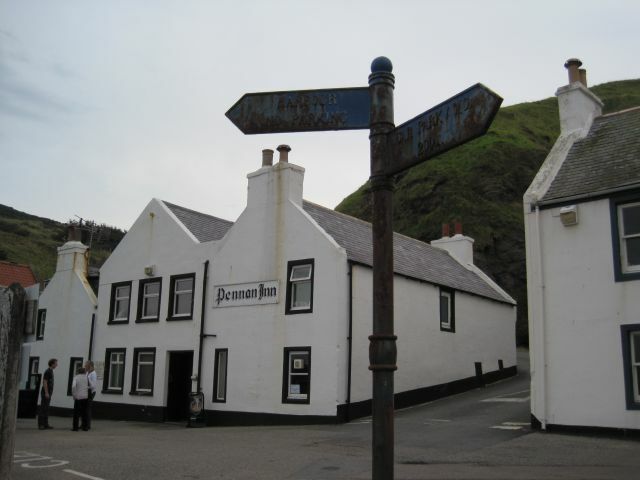 And we drove into Pennan, a village where the movie – Local Hero – was filmed. 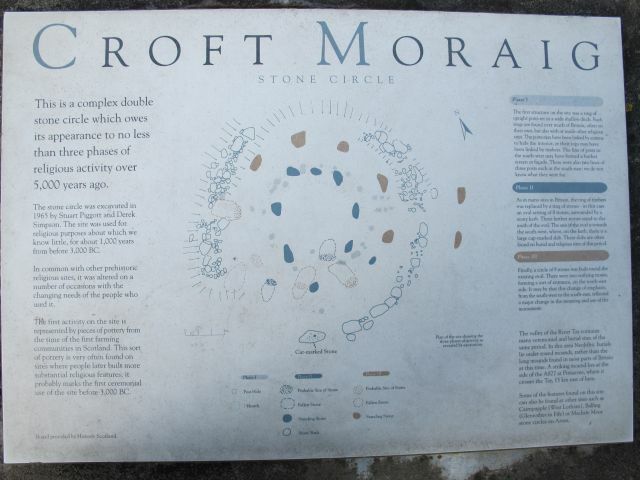 There are loads of pre-historic monuments and sites in the north east of Scotland. 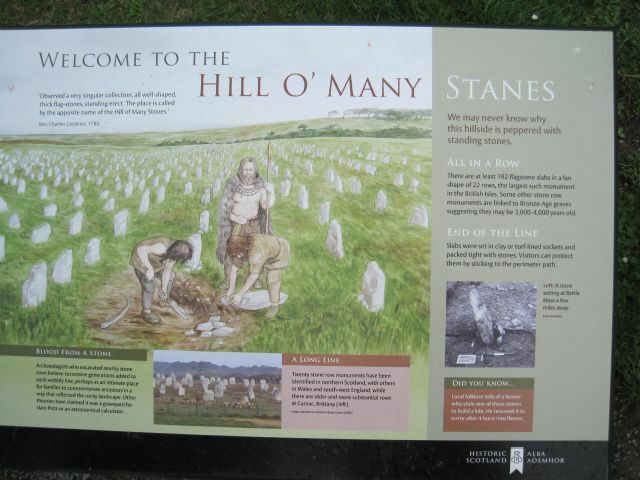 If time permits you may want to view Longman Hill near Banff Bay and Hill O Many Stanes in Caithness just south of Wick which we saw on the second day of our road trip. Next week in – Part 2 – I talk about the rest of the road trip up the east coast, the ferry to Orkney and Orkney Islands. To read Part 1 of this feature in last week’s post – click here. I love pipe bands and can listen to them forever. 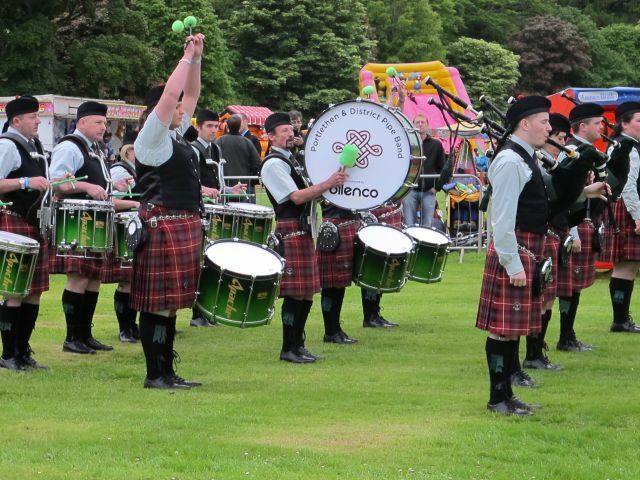 Lucky for me they had pipe bands from various regions competing so I got to do just that. I wondered what criteria the judges would look for in a pipe band. We noticed that around 30% of the band members were ladies. Good on them. The drummers manage to do amazing flicks and twirls with their drum sticks. What does a Scot wear under his kilt? Then we moved on to watch the big strapping blokes heaving and hurling heavy things about. The UK is painful in enforcing pathetic health and safety measures but here we stood watching hammers and logs being flung about right in front of us. And no one was injured. The heavy sports seem to be a big attraction and are sponsored by Glenfiddich. 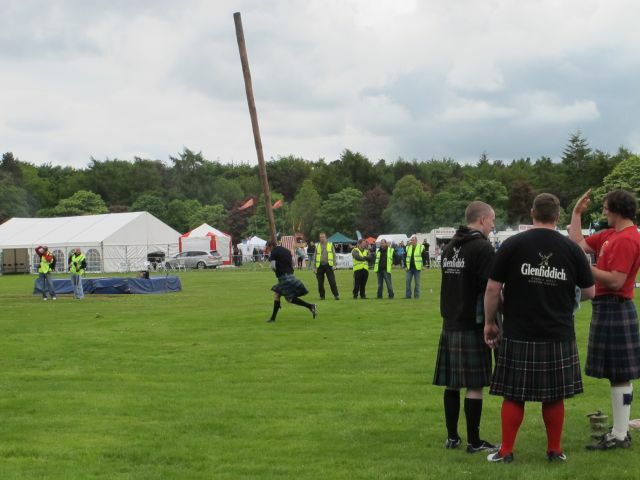 Turns out tossing the caber is more than flinging a big log. The men have to ensure it flips and lands facing toward 12 o’clock. I noticed one of the senior competitors was Polish but he wore a kilt. Perhaps he has links going back to Scotland or maybe he wore a kilt from the area he is living. Read about – clan kilts. 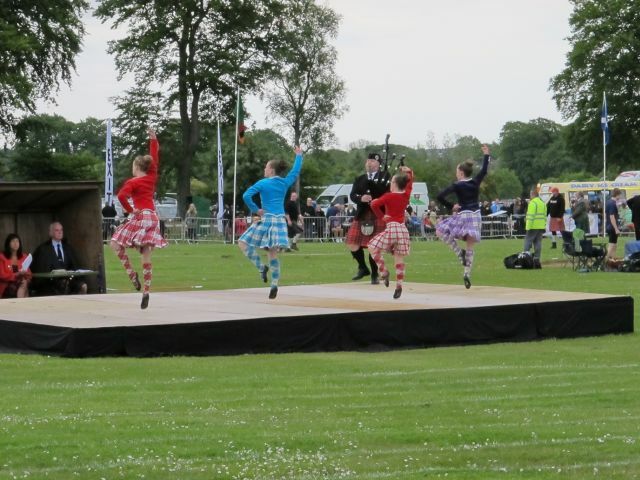 The lassies danced the Highland Fling in their outfits while a piper played music. Between that piper, pipe bands, individual pipe players competing and the rest of the pipers practicing for their turn, there were a lot of pipes playing. But like I said, I love pipes and just as well. Toward the end of the day came the Tug o’war. Local teams of eight per side geared up to battle it out. I wasn’t expecting to find it nerve racking. Boxing, yes that could be stressful to watch but Tug o’ war? Hardly? Actually yes! Two of the teams were evenly matched in terms of strength and they hung in. And hung in. We were watching for signs of fatigue or for someone to slip but these guys just held on. Finally one side managed to get the upper hand and won. My nerves were shot and I needed a break. Then the rain came down and the competitors in traditional clothing put on these cape coats that look like the sort of thing Sherlock Holmes would wear. I think they might be called Inverness Coats. Come to think of it, a lot of the outfits looked a bit Sherlock Holmes. This is the sort of occasion one can wear a Deerstalker style hat and not look out of place. I wanted to see the massed pipe band finale but we had been hanging around for a good few hours and we were cold and wet. 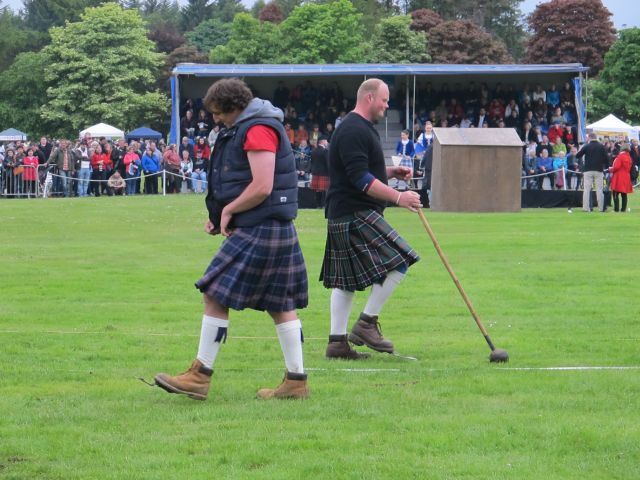 We can tick Highland Games off our list of things to do. I wouldn’t mind visiting a country show along the lines of the Keith Country Show. It’s an occasion for farmers to show off their animals but tractor racing and sheep races could be fun to watch. Who knows? I might be writing about that next. 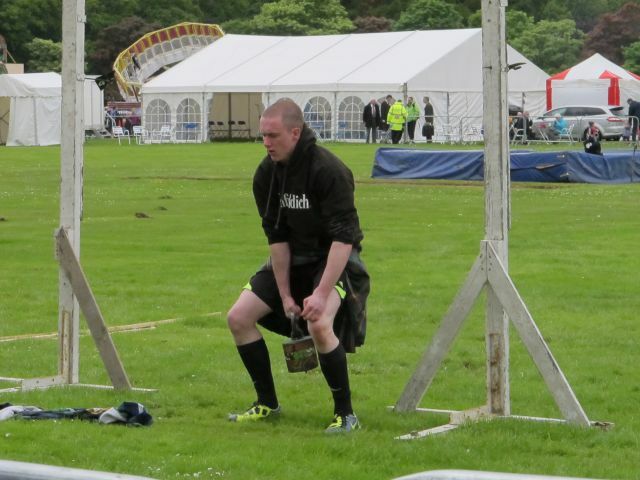 I’ve often wondered what it would be like to watch Highland Games. Scotland has many descendants living across the globe. Consider that 4.8 million Americans, 4.7 million Canadians, 800 000 people in England and even 250 000 people living in Russia consider themselves of Scottish heritage. And as many as 20% of all New Zealanders and Australians have links back to Scotland. Read more here. There are Caledonian Societies and pipe bands all over the world keeping the traditions and customs of Scotland alive. Since I’m in Scotland for a while it made sense to go see what Scots get up to in their motherland. 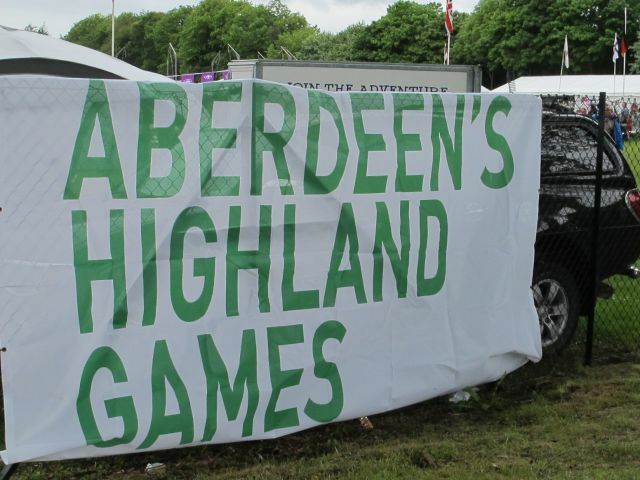 There are Highland games events all over Scotland – Highland Games. They have been happening for over 1000 years. Clan chiefs would rival each other with the fastest and strongest men. The dancers and pipers provided entertainment. The most famous games are at Braemar, which Queen Elizabeth apparently always attends, and everyone flocks to see her – Queen Elizabeth and Braemar. King Malcolm began the royal association with the games but Queen Victoria made them famous when she and Prince Albert first came to Balmoral in 1848 and started attending the games. 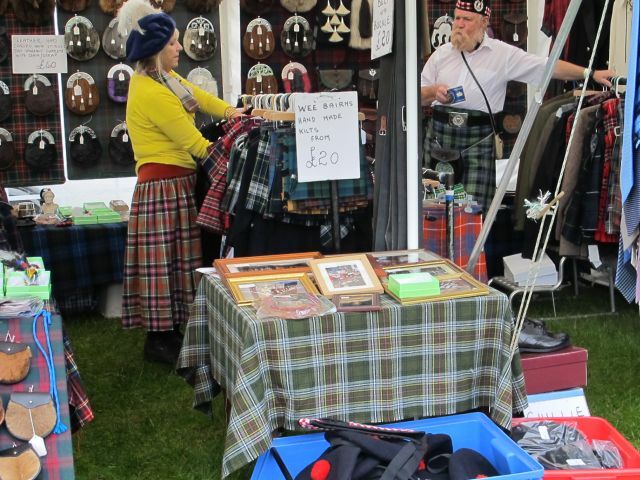 We went to our local Aberdeen Highland Games this last weekend Sunday 17th June 2012. The UK has had a cool wet summer so far this year. However as Scotland located in the north it’s almost always cooler than it is in the in the south. Add to that a fog that builds up at sea in the north east of Scotland called – “The Haar”. This means Aberdeen has it’s very own micro climate. What I’m saying is – this is one time you should wear a raincoat and Wellington boots. So what happens? We arrived at Hazelhead Park and paid £6 each to go in. 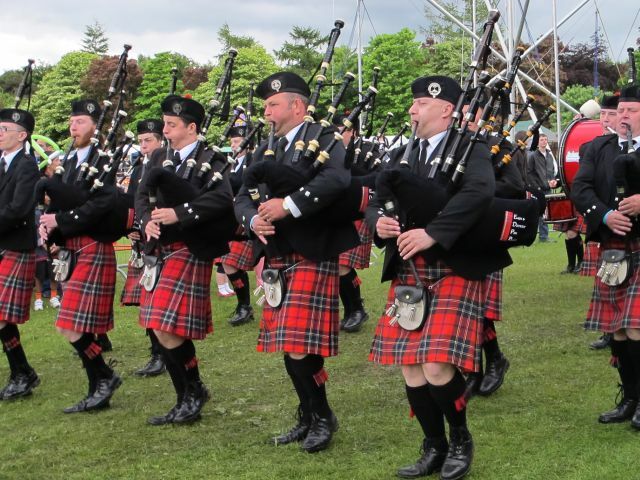 We were given a program with the events of the day which included bagpipe music events for various age groups, Highland Fling dancing for various age groups and athletic activities. 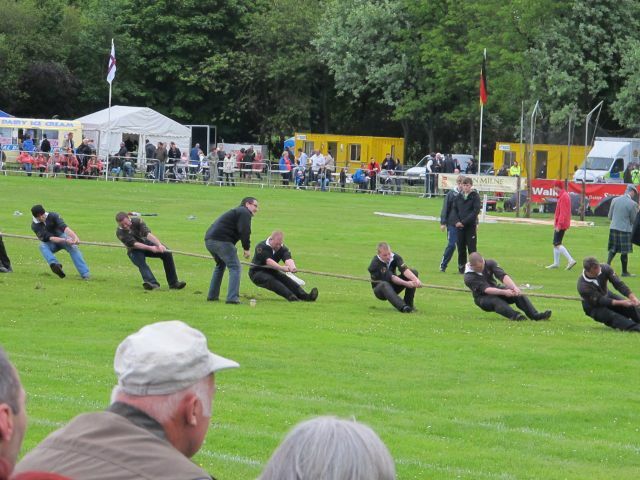 Heavy athletics include events like stone throwing, hammer throwing and caber tossing. Light athletics are 100m, high jump and that sort of thing. And of course the tug o’war. We went walk-about first. They had an amusement fair as well as various stalls selling food and crafts. 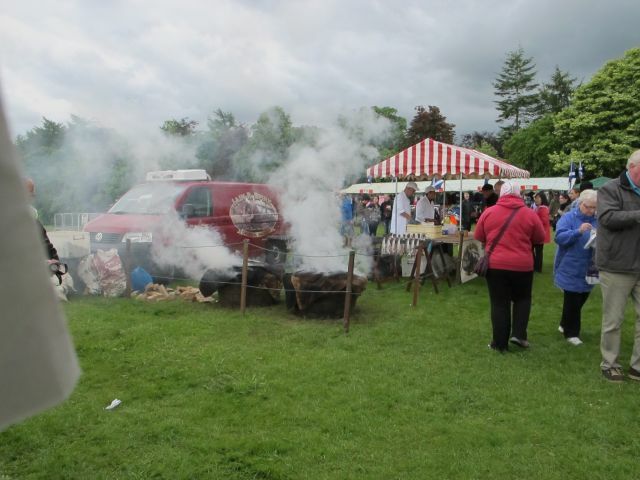 We had been to the Outsider Music Festival some years ago and had an idea of what Scottish food stalls have on offer at public events. Sadly hot oats with cream and berries was not available nor were Stovies, not that a vegetarian like myself can eat Stovies, but it is nice when local food is on offer. What they did have were – Arbroath smokies – which are local smoked fish. My husband decided to try a steak roll with Aberdeen Angus steak. We approached the vendor but no – the signage was designed to fool us – they didn’t actually sell – Aberdeen Angus. So we ended up having hot chips and a cup of tea. Part 2 and the final of this piece is out next week – on this link. 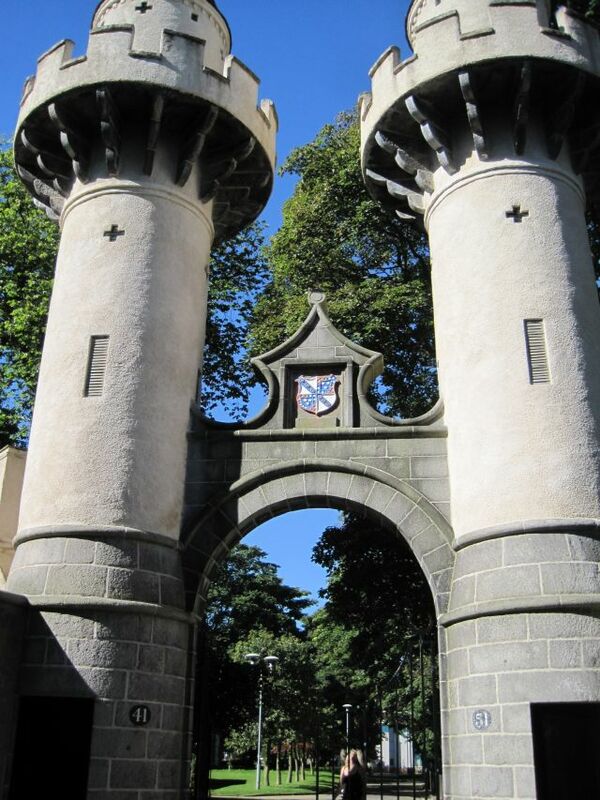 Part 1 – of this series covers a walking tour of Aberdeen city and shopping. 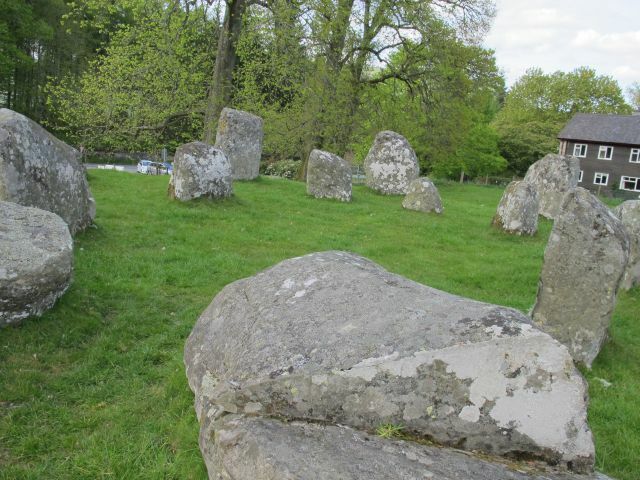 Part 2 – is about the highland tourist route and driving. 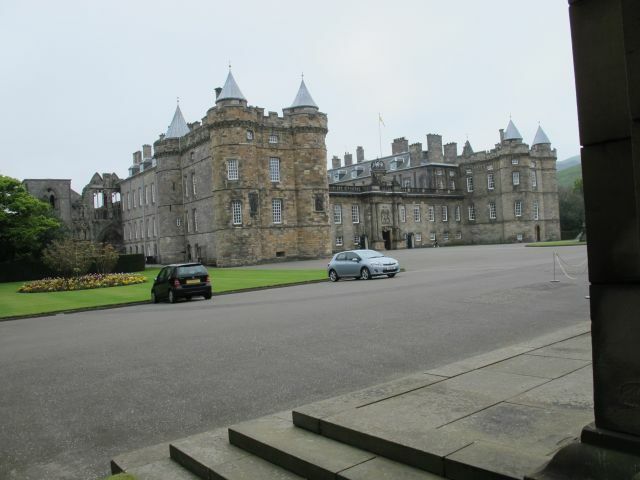 Last week in – Part 3 – I spoke about our road trip via Royal Deeside and the Cairngorms National Park to Edinburgh. 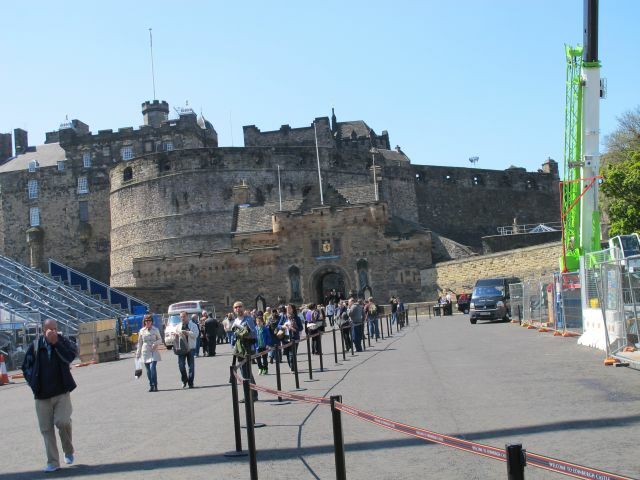 Start walking down the Royal Mile plus museums along the way such as The People’s Museum. Holyrood Palace, Scottish parliament and Dynamic Earth Centre at the bottom of Royal Mile. 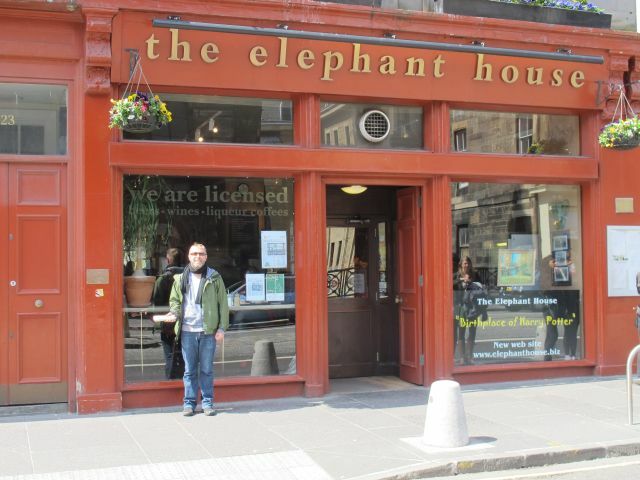 Elephant house on George IV Bridge where Harry Potter was written for a quick bite, Greyfriars Kirk, and down Candlemakers Row to Grassmarket area. Edinburgh Castle and down to Princes Street Gardens. Finally Charlotte Square, a UNESCO site and we wandered back along Princes, George and Rose Street. We had a late lunch at Henderson’s, a vegetarian restaurant in Hanover street. mustered up more energy to go for a run up Calton Hill. I have walked it before and highly recommend it for breathtaking views across the city. I was just too tired to join him. I thought I had lost him as he took forever to return but he did eventually, and after a quick shower and a change of clothes we went back into town and ended up at Q Bar for supper. The food was OK but they had great music blaring out and we ended up having far too much fun before walking back to the hotel and sleeping like the dead. A meal out for two with two glasses of wine and a tip costs around £40. The next day wasn’t even half a day as my friend flew out at 11.05am and had to be at Edinburgh Airport with time in hand. The lengthy queues at the check-in counter meant he grabbed a coffee and sandwich and the next thing he was gone! predictable and pretty. Glasgow is sassy. I love, love the vibrant and loud art and music scene in Glasgow. The architecture is full of Charles Rennie Macintosh art deco influences. There is a disproportionate amount of fun going on in Glasgow. Glasgow also has far more shopping options. And the best bit? The extra, ultra friendly Glaswegians. No need to fear asking directions from a Glaswegian, they love to chat and help. Only thing is, I can’t understand a word they say. They have the thickest, broadest accent called Glaswegian patter which is incomprehensible to most English speakers. I love listening to them anyway. 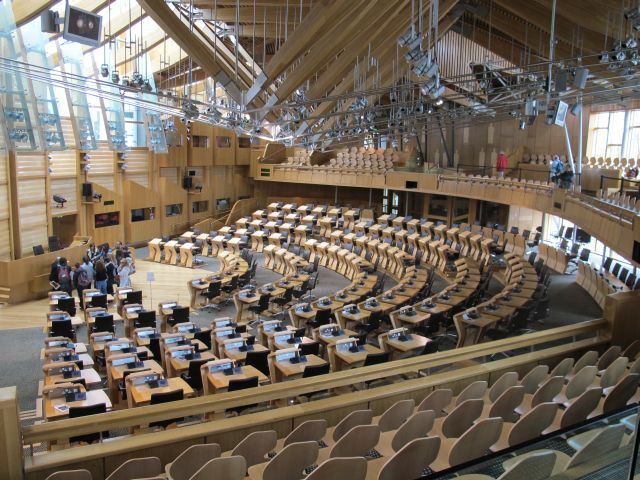 Although Scotland is part of the United Kingdom they have their own parliament, their own currency and their school and work holidays are not the same as those in England. It’s cheaper to hire a car from Scotland than from England. We’ve used Enterprise Car Hire so many times and have been happy with their service. Just make sure you triple check the car for chips and chinks coz if they find any when you return the car, you are liable for them. For more on Scotland visit – here. Last week in – Part 2 – I spoke about driving the coastal and highland tourist routes. The week before in – Part 1 – I spoke about the city of Aberdeen. 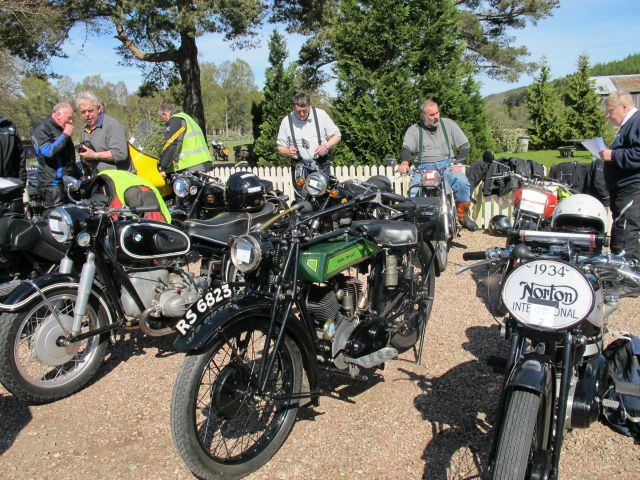 We gave up on finding stone circles for a while and made it in time for a quick cup of coffee with the biker friend in Banchory – before heading off again. 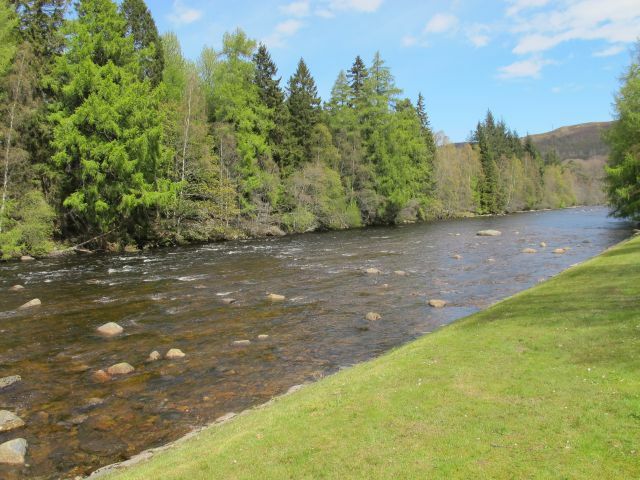 Along the Royal Deeside route are yet more gorgeous villages such as Braemar, Blairgowrie and Pitlochry. In the cooler months the mountains in the Cairgorms are covered with snow and there are – ski resorts. The last two winters in Scotland, 2010 and 2011, have seen plenty snow. In summer people come to climb the munros, cycle the hills, canoe up and down the River Dee or go fishing – read more – here. What is a munro you ask? Follow – this link – to find out. Look out for indigenous – red deer along the way and of course the cutest ever shaggy – Highland cows which are farmed in the area. One of the must-sees on this trip was Balmoral Castle. It was apparently Queen Victoria’s favoutite home and still much loved by the current Queen Elizabeth. It’s only open April to July when the royal family aren’t in residence. 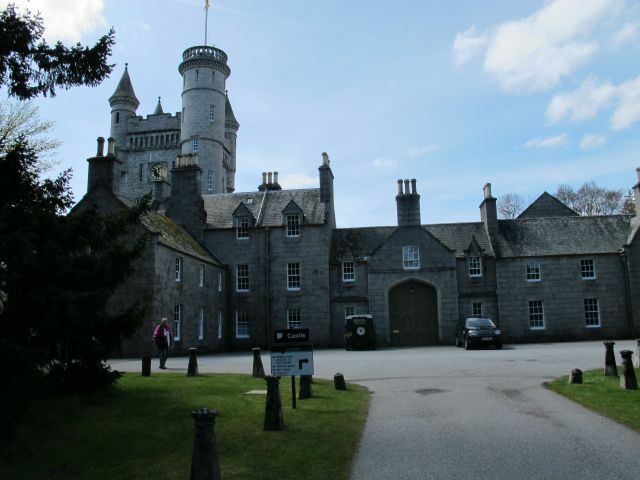 Read more – Balmoral Castle. I would allow at very least two hours to walkabout and watch a plethora of presentations. Avoid the cafe if you can. My Swedish friend had the very worst burger of his entire life there. A floppy white bun with a mingy piece of meat. That was it! He was bitterly disappointed. picture. But we did. 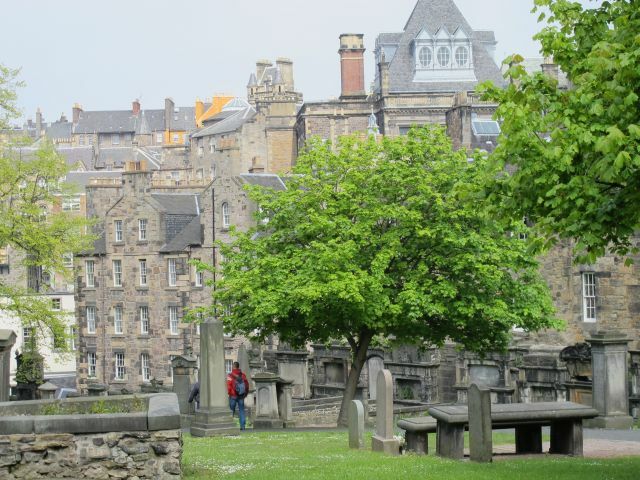 We ticked stones off our to-do list and headed for Edinburgh. The smaller roads in Scotland and the UK are mostly narrow, windy and single lanes. There are few emergency zones or places to pull over. We got stuck behind tractors, slow cars and trucks most of the time and our journey took a lot longer than we anticipated. We finally got to Edinburgh at 18.00pm. Fortunately in summer the sun goes down very late in Scotland so we knew we could afford to take our time. 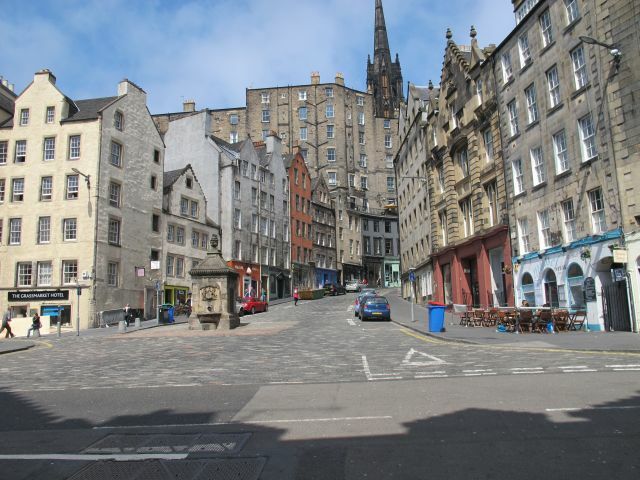 I booked a budget hotel in Pilrig Street in Edinburgh with – booking.com – as it had parking for our car and also because it was walking distance to town. The room cost £52 per night. When we arrived at this place my heart sank into my stomach. The reception area looked dreadful. Fortunately the room wasn’t bad and the bloke at reception was well meaning and helpful. By now we were starving hungry and we took a walk to Port of Leith which was about 2 kilometers away. There are lots and lots of pubs, cafes and restaurants in the area. Mostly seafood and steak type places. ( a vegetarian sigh!) However, I had a nice meal at The Kings Wark – read about it – here. I always skip breakfast at hotels if I can. Eating out is usually cheaper than at hotels and it’s another way to explore the city. The next morning we went in search of breakfast and we found a French Style Cafe along Leith Walk. A meal for two with coffee came to around £18. Then we hit Edinburgh on foot to see as much as we could in one day. Read about that next week. 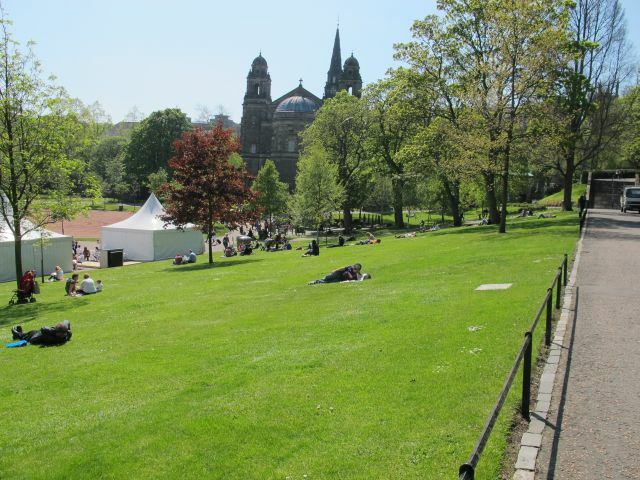 Next week in – Part 4 – and the final part I talk about what to do in Edinburgh. For more on my other destinations and a few travel horror stories go to the Travel Archive Page.